On Sunday, August 11, 2013, His Eminence Metropolitan Nicholas visited the community of Sts. Constantine & Helen Parish in Westland, MI. His Eminence celebrated the Hierarchical Divine Liturgy assisted by Fr. Teodor Petrutiu (Proistamenos) and Dcn. Stefan Toma, Ph.D. (visiting from Romania). 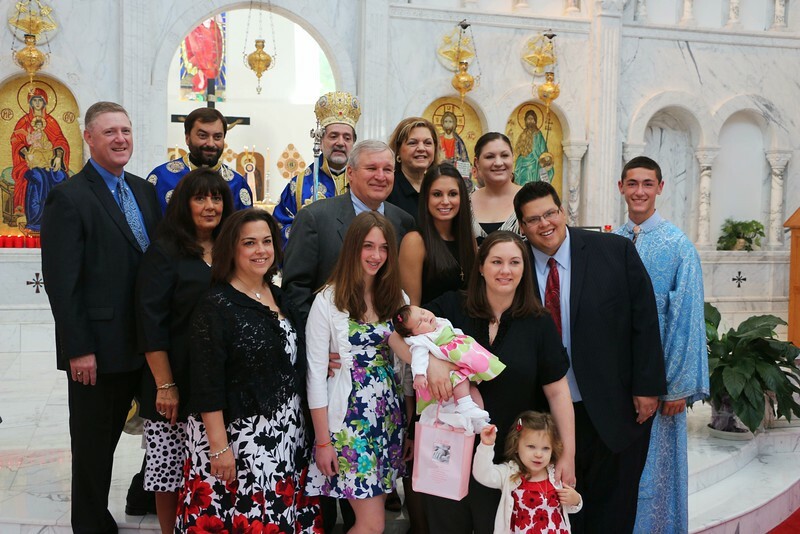 As this Sunday also coincided with Metropolitan Nicholas' 60th Birthday, the community of Sts. Constantine & Helen had prepared a surprise luncheon in his honor. Also as a surprise, Fr. Teodor and the community arranged for Mrs. Niki Mott (Metropolitan's sister) to be flown in for the weekend. We wish His Eminence a Happy 60th Birthday and Many Years!